Have there been many updates to the original MikuMikuDance program? Can I still download previous versions of MikuMikuDance? Are the older versions of Miku Miku Dance still available? You can Download Previous Versions of MikuMikuDance from LearnMMD.com! In the summer of 2010, Yu Higuchi’s DirectX version of MikuMikuDance in English, MMD version 7.39, was released for the world to enjoy … and we have done so! On the VPVP homepage, it became the default DirectX version … with no mention of good ol’ 7.39 or of any improvements over the old version. We MMDers did not know what to expect! 7.94 lasted nearly two weeks before it was replaced with MMD 7.96 … which lasted four days … and 7.97 which lasted only one day! You can see on the chart that the updates continued almost daily “:o). until July 8, 2013, with the release of MMD 8.03 … which lasted for five months. The amazing thing about each of the updates is that it arrives unheralded. It is simply the link to Yu Higuchi’s DirectX MMD … what they call 1.3 … No advance notice … no news about the new version … no info. We are to guess as to what the newest improvements might be and guess as to the shortcomings of the previous version. LearnMMD has the History of DirectX MikuMikuDance available for download! As you can see on that chart, there have been many updates … and, probably, many more to come! With each new update, LearnMMD.com downloads the latest MMD zip and makes it available to you! Just adjust the URL for the MMD version you wish to own. Pasting that URL address into your browser will get you MMD 9.31. Simply adjust the URL for the particular version you want to download. 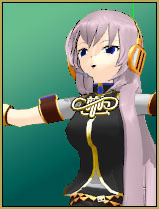 MMD version 8.10 had the new Animasa “Luka” model, version 1.0 … and MMD 8.11 had “Luka” v 1.1. 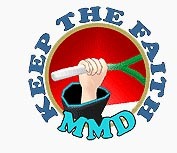 As new updates are launched from the VPVP page … LearnMMD will archive them and make each available to you. Enjoy MikuMikuDance … learn new things and share them with us on LearnMMD.com! I want to do mmd a lot, but do not know what to do.